Pancreatic cancer has the lowest survival rate of all major cancers and is widely regarded as a death sentence. The 5-year survival rate is still in the single digits at 3% and this figure has not changed over the past four decades largely due to lack of specific therapies and inability of early detection. Symptoms rarely develop with early disease, which translates to more than 85% of patients receiving their diagnosis at an advanced stage when the tumour is metastatic and no longer treatable. Modern imaging techniques, such as CT and MRI are expensive and unable to detect early-stage lesions. Currently, the “gold standard” for pancreatic cancer diagnosis is a fine needle aspiration biopsy of the tissue followed by histological evaluation. As an alternative to traditional tissue biopsy which is inherently risky, costly and often impractical, blood-based tests, smartly dubbed “liquid biopsies” are becoming increasingly appealing for non-invasive screening and early detection as well as longitudinal monitoring of the disease. In recent years, exosomes have emerged as powerful circulating cancer biomarkers opening new avenues for blood-based screening, longitudinal monitoring and early detection of a number of different cancers, including pancreatic cancer. Exosomes are tiny nanometre-sized membranous particles carrying active molecular cargo that are released from tumours and can be found in the bloodstream and most bodily fluids. However, isolation and analysis of exosomes from biofluids is both inefficient and technically challenging, impeding the clinical utilisation of exosome-based liquid biopsies. 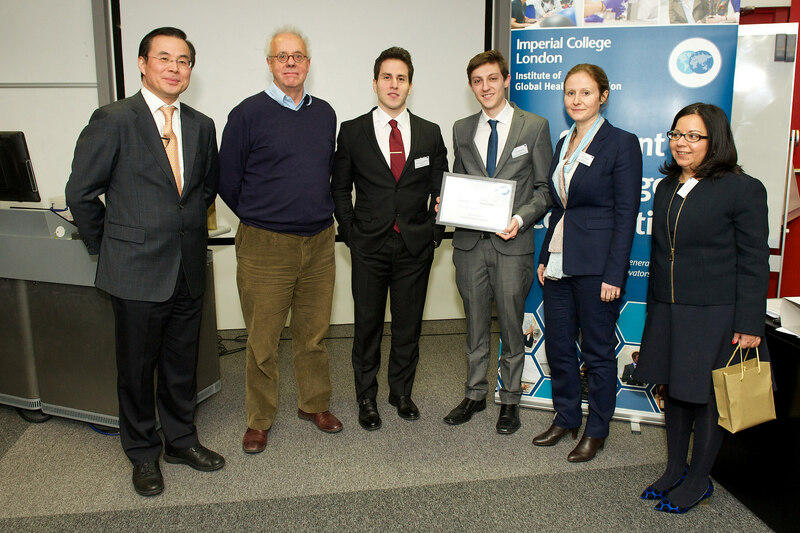 In March 2016 we took part in the IGHI Student Challenges competition and won the 3rd place Audience Choice award of £1,000 towards the development of ExoSonic, a novel palm-sized, point-of-care diagnostic device that leverages cutting-edge microfluidic technology to detect early-stage pancreatic cancer from a small blood sample. Our microfluidic chip streamlines exosome isolation and analysis by providing a platform technology that enables purification of exosomes from blood combined with ultrasensitive on-chip molecular profiling of tumour-derived exosomes. We have already built a working prototype of ExoSonic and have since then optimised the biosensor part of our device. We shall begin a pilot study early 2017 to pre-clinically validate the usability of the device in a clinical setting by detecting exosomal cancer biomarkers using blood samples from patient cohorts. Our goal is to be able to differentiate among benign, early-stage and late-stage pancreatic cancer with high specificity and sensitivity and establish ExoSonic as a realiable point-of-care “liquid biopsy kit” for blood-based screening of pancreatic cancer in high-risk individuals. This in turn could facilitate early detection of the disease and allow patients to pursue possibly curative surgical therapy. We have also received seed funding from the European Institute of Technology and Innovation (EIT) to accelerate the development and pre-clinical validation of the device with the ultimate goal of commercialising this technology. We are grateful to the IGHI for the opportunity they have given us. 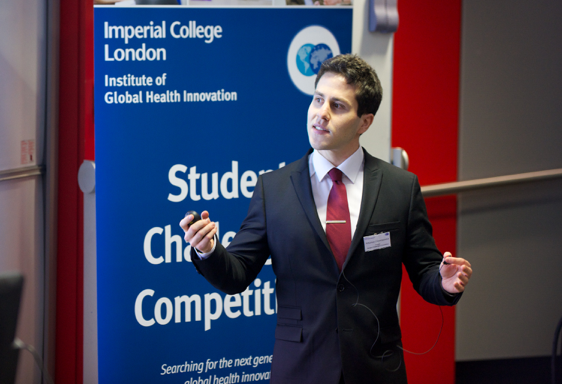 It has been a wonderful experience and we would encourage anyone to submit their health innovations to the IGHI student challenge next year. What is the role of social media in health policy?